While retailers like Macy’s and JC Penney are closing stores, online giants that made their successes via the web, such as Amazon, are expanding their real-world retail presence with new brick-and-mortar stores. In the digital age, that sounds pretty crazy. Why would retailers who made their fortunes as online businesses take the risk to move to the high street, a place where their competitors are losing money? The simple answer is that no matter how easy it has become to shop online, there will always be consumers who prefer to visit an actual store—an offering online-only merchants haven’t been able to compete with. In fact, research shows that 85 percent of consumers prefer to shop in physical stores, and, if given the opportunity, 71 percent of consumers would even prefer to shop at an Amazon store over Amazon.com. The good news for retailers is that while technology has enabled the efficiency of online shopping, there’s also potential for it to improve the in-store experience for consumers. 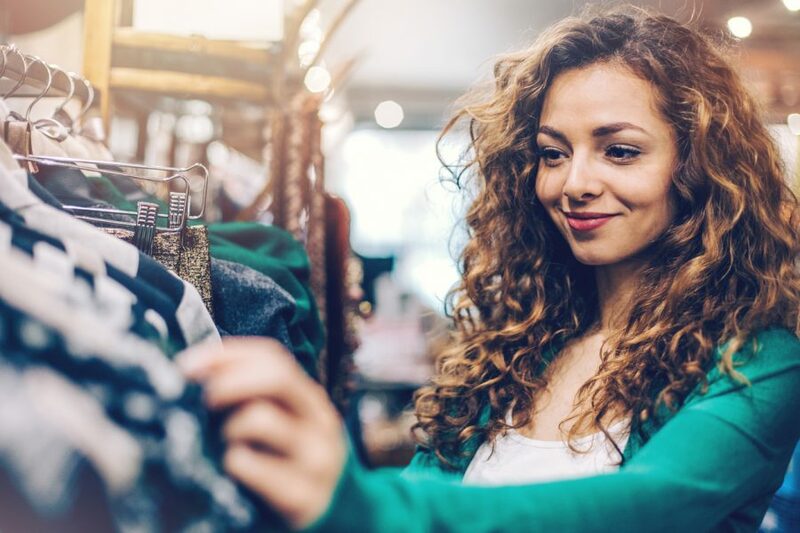 New technology gives retailers an opportunity to develop engaging brick-and-mortar stores and create a unique customer experience. More important, it will only continue to raise consumer expectations; those merchants that don’t focus on the in-store experience, and aren’t prepared to engage the tech-savvy buyers of today, are going to fall by the wayside. In this new age of smart products, brands have an ability to improve their in-store retail experience and better engage today’s tech-savvy customers. Over the past year, EVRYTHNG has partnered with packaging leaders such as Avery Dennison, WestRock and Crown to enable billions of consumer products to be #BornDigital™—embedding individual items with unique digital identities—and connecting them to the digital ecosystem. All of this means that physical products can now be used to attract and engage consumers with enhanced digital experiences. Simply by scanning the identity on an item in the store, customers can unlock brand content, rewards and offers right on their smartphones. As an example, a Lululemon customer could scan a pair of yoga pants to pull up product information to inform her purchasing decision before she heads to the checkout line, but she could also access an engaging video that shows the product in action. And after the customer brings the yoga pants home, Lululemon can continue the direct relationship by delivering exclusive rewards for a return visit to the store or personalized health, fitness and lifestyle content. Because smart products offer brands end-to-end product lifecycle management, the can drive purchasing behavior and deliver unique experiences throughout the entire lifetime of an individual product. Smart products can also help brands engage with customers via in-store signage. Earlier this year, we collaborated with Screenly at Mobile World Congress to show how customers can have a better shopping experience by linking products with digital screens. In today’s world, where customers are overwhelmed with advertisements, a simple paper billboard is usually not enough to capture a customer’s attention. But with Screenly’s technology, brands open the door to new capabilities, including showcasting products in HD video, creating playlists and displaying web pages with live real-world information. By incorporating EVRYTHNG’s IoT platform, we’re able to connect digital screens and products in stores. To interact with digital signage, customers would simply scan a label or tap an NFC tag on an item. The screen could display many kinds of possible content, whether it’s an Instagram gallery, stock inventory or a video. The interaction could simultaneously trigger additional related content to appear on the customer’s phone. Smart products are not only transforming the in-store experience for consumers, they’re also revolutionizing the customer relationship for brands. When, for example, a Ralph Lauren Dress is sitting in a Bloomingdale’s retail location, the apparel brand is completely cut out of the transaction. But by digitizing its products, Ralph Lauren could trace the product’s journey, gaining visibility beyond the retailer and getting to connect with and “own” the end-consumer. In-store shopping is not going away, so by giving it this technology upgrade via smart products, we can begin to close the gap between the real-world and online shopping, making it more enjoyable for today’s consumer—and more valuable to your brand. Frederik Armbrust is VP, Enterprise Solutions, Apparel and Footwear at EVRYTHNG.